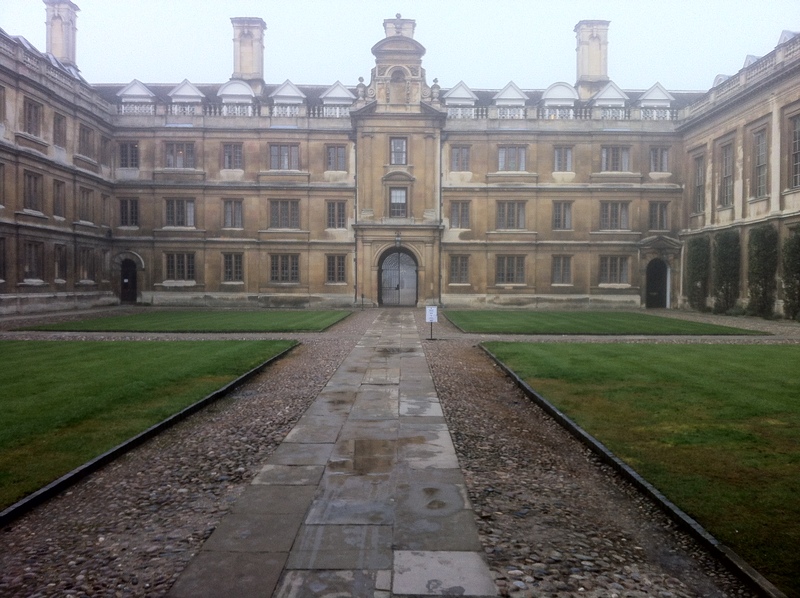 The ‘Infinities and Cosmology’ conference (see last post) got off to a great start here at Cambridge today. 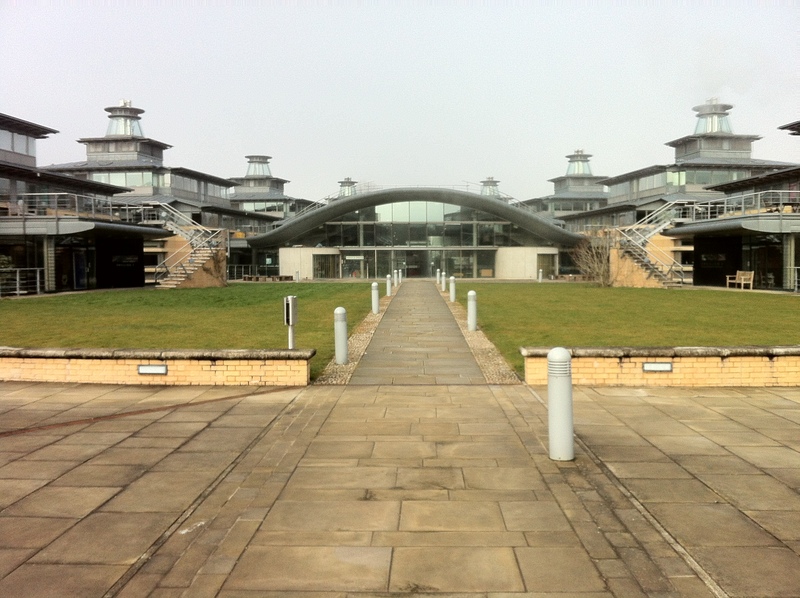 The first surprise was that DAMTP, Cambridge’s Department of Applied Mathematics and Theoretical Physics, is now housed in a beautiful modern building with lots of light, wide open spaces and a great canteen. The building forms part of the new Centre for Mathematical Sciences, most impressive. 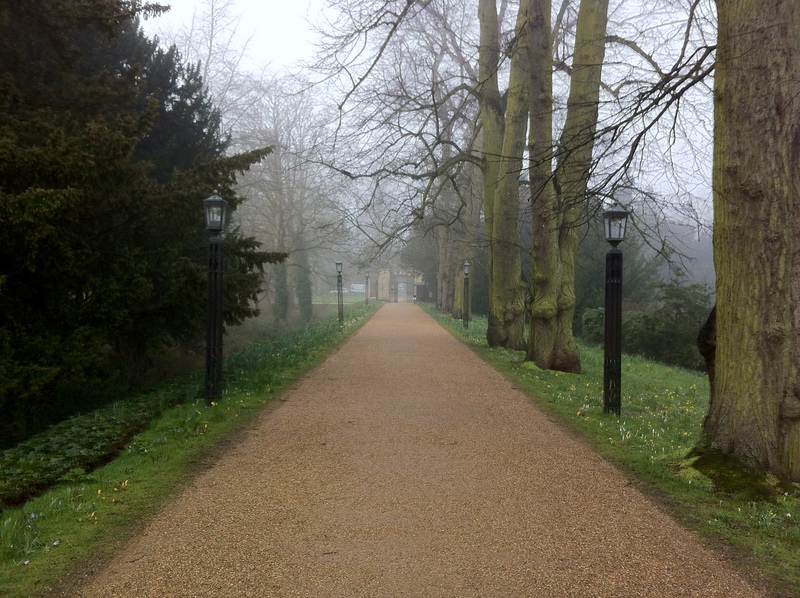 I couldn’t resist taking a few other photos after breakfast on my way to the conference, nearly missed registration! After registration and coffee, the conference started with a ‘brief introduction’ by John Barrow . This comprised a succinct but comprehensive overview of problems posed by infinities in mathematics, classical physics, quantum physics and particle physics, finishing with a discussion of specific problems in cosmology. There’s nothing quite like an overview like this by an expert, all sorts of connections between diverse phenomena become apparent. I took copious notes which will keep me busy over the next few days. Indeed, I suspect that if no other speaker had turned up, Prof Barrow could have expounded further on the topics he touched on for the duration of the conference. George Ellis then took the podium for the first installment of his talk ‘Infinities of age and size, including global topology issues’. He set a no-nonsense tone by starting with a pet peeve – that physicists routinely confuse inconceivably large numbers with infinity, a very different beast. He expounded on this theme at length and then set about an interesting argument: that talk of infinities in physical systems is meaningless unless one can verify that they are truly infinite – which cannot be done, as pointed out by David Hilbert. Thus, the hypothesis of an infinite universe is dubious science and dubious philosophy. 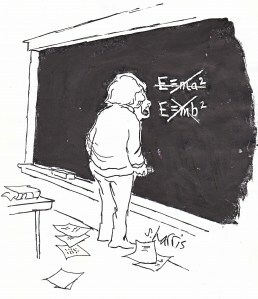 George then postulated a general test (the Ellis/Hilbert fork) for theories; any hypothesis that no longer works when infinite quantities are replaced by arbitrarily large numbers is bunk! We were still pondering this opening salvo when Anthony Aguirre took the podium after coffee to talk about ‘Infinite and finite spacetimes’. This started with a succinct review of the ‘initial conditions’ problem in the big bang model, the theory of cosmic inflation and the main inflationary models of today. In particular, Anthony explained why inflation leads naturally to the concept of the multiverse (essentially, quantum tunneling or equivalent processes are simply far too slow to compete with the still-inflating universe, leading to separate bubble universes). Personally, I once hoped that some mathematician would one day prove that inflation either happened to all or the universe or not at all, but this is looking increasingly unlikely. Anthony then went on to describe the model of eternal inflation and explained how Hoyle’s famous ‘steady-state universe’ could be right after all (at least on the global scale of the multiverse, as he explained in response to a silly question from yours truly). After lunch, string theorist Michael Douglas presented the first installment of his talk ‘Can we test the sting theory landscape?’. This was the most technical talk so far, nothing less than a brief review of fundamental ideas in string theory and the famous problem of the landscape. A very basic argument Michael made chimed with me, namely that “almost all physical theories have a landscape of possible solutions” (there are dozens of example of this in solid-state physics). After some more general points, Michael went on to address the problem of dark energy, describing how his recent work on the flux vacua hypothesized by Bousso and Polchinski might deliver a mechanism for the cancellation necessary to reduce the quantum energy of the vacuum to the tiny ‘dark energy’ value we see today. I need to read around this area before Michael’s follow-up talk tomorrow so I’ll stop there! 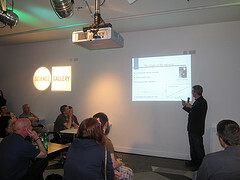 I gave a talk on Wednesday evening at the Science Gallery in Trinity College Dublin, as part of the Alchemist Cafe series. It was great to be back at the Gallery, I’ve fond memories of participating in the RAW debates there last year (see blog posts on the debates here). The Alchemist Cafe is the Irish branch of the international Cafe Scientifique movement: the idea is to get a scientist or engineer to give an informal talk on a scientific topic in a cafe/bar setting, with plenty of questions and discussion afterwards. You can find abstracts and videos of previous talks on their website above. I gave a short spiel titled ‘The Big Bang: Fact or Fiction?”. I thought it would be fun to go over the three basic planks of evidence for the model and then discuss some modern results (from the accelerating universe to WMAP measurements of the cosmicrowave background). 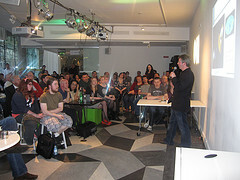 The rest of the session was given over to questions and discussion. It seemed to work well, I thought the Science Gallery cafe a particularly good setting. One whole side of the cafe is a glass window onto the street and we projected the images I used onto the opposite wall, with the audience in between. It made for a nice relaxed atmosphere. There were plenty of good questions, on topics as diverse as unified field theory and dark energy. I wish I’d taken note of the questions, must check with the organisers if someone did. 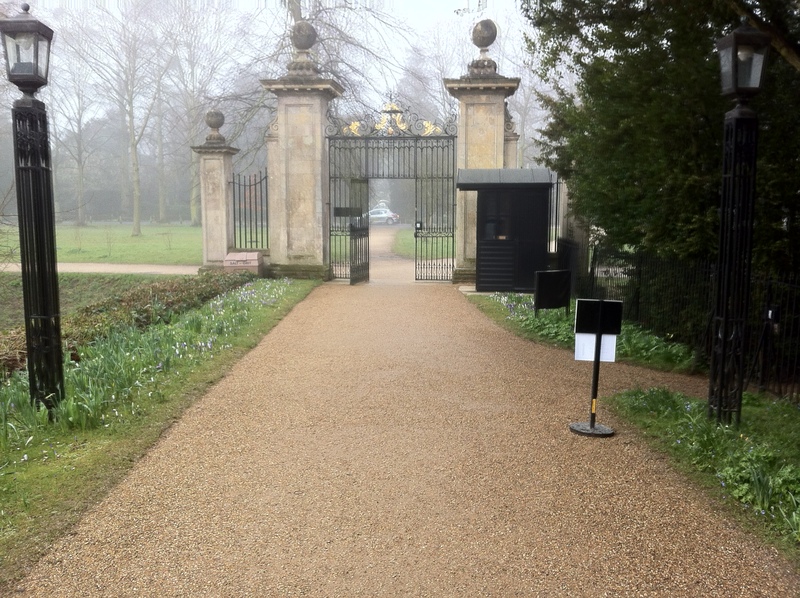 Turnout was a big surprise – a few friends turned up at 8.05 and couldn’t get in! It’s amazing the public interest in cosmology, I guess everyone has heard of the Big Bang and Hawking’s A Brief History of Time. All in all, it was a great experience. There will be a video of the event on the Alchemist Cafe site in a few days and I’ve uploaded the slides I used on the My Seminars page. The previous 12 posts listed the main discoveries of modern cosmology in chronological order: putting all this information together leads to the Standard Model of cosmology (not to be confused with the Standard Model of particle physics). We conclude our short course with a simple overview of the standard model (also known as the Concordance Model). You will notice that it is also a brief history of time. Keep in mind that what follows is a model: the strength of the evidence for each phenomenon varies (see specific posts on each topic starting here). The universe began approximately 13.7 billion years ago when it began expanding from an almost inconceivably hot, dense state. Ever since, the cosmos has been expanding and cooling, eventually reaching the cold, sparse state we see today. 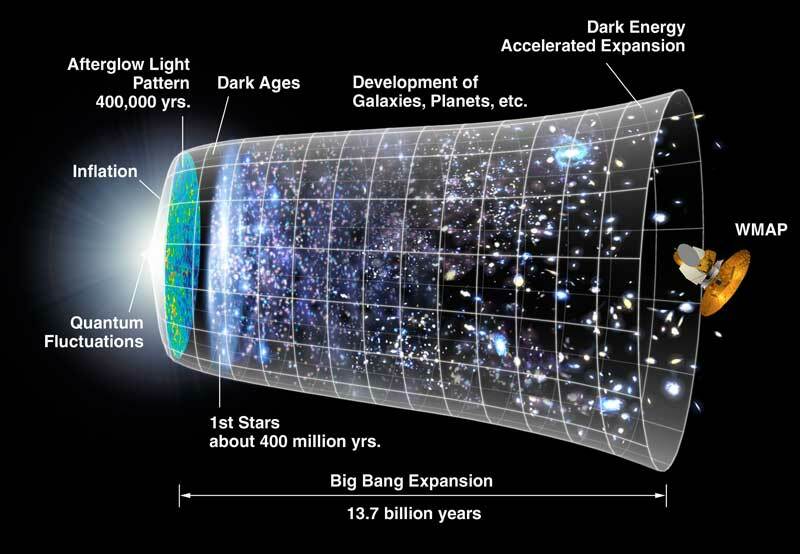 In the first 10-34 seconds, the universe experiences a brief period of extremely fast expansion known as inflation. This period smooths out initial inhomogeneities, leaving the universe with the homogeneity and isotropy we see today. Quantum mechanical fluctuations during this process are imprinted on the universe as density fluctuations that later seed the formation of structure. The infant universe is a soup of matter and energy in which particle/antiparticle pairs are constantly born and annihilated. As the universe cools, it becomes too cold to produce heavier particles, while the creation of lighter particles continues until temperatures cool to a few billion Kelvin. At this point, most of the remaining particle/antiparticle pairs are annihilated. A small amount of matter survives due to a slight asymmetry in the decay of between matter and antimatter. After a few minutes, nuclei of the light elements (hydrogen, helium and lithium) are formed by the combination of free protons and neutrons, a process known as nucleosynthesis. After about 100,000 years, the universe is cold enough for free nuclei and electrons to to combine into atoms (recombination). At this point, the universe becomes transparent due to reduced scattering by free electrons. Radiation now permeates the universe – seen today as the cosmic microwave background. By this time, dark matter (unaffected by the behavior of the baryonic matter) has already begun to collapse into halos. After a few hundred million years, galaxies and stars form, as baryonic gas and dust collapse to the center of the pre-existing dark matter halos. This is ordinary matter composed of protons, neutrons, and electrons. It comprises gas, dust, stars, planets, people, etc. This is the “missing mass” of the universe. It comprises the dark matter halos that surround galaxies and galaxy clusters, and aids in the formation of structure in the universe. Dark matter is believed to be composed of weakly interacting massive particles or WIMPs. Observations of distant supernovae suggest that the expansion of the universe is currently accelerating. This observation is backed up by the flatness of the universe as measured from the cosmic microwave background. Cosmologists believe that the acceleration may be caused by some kind of energy of the vacuum, possibly left over from inflation.